Your home and your family are important to you. And because they're important to us as well, we use truck mounted hot steam extraction equipment which insures proper carpet, upholstery and tile cleaning, helping to create a safe environment and keep your flooring looking like new for years to come. It’s nice to know that there is a company out there that you can trust...a company that does its best to determine what your needs are, and then to follow through on these promises to you. It’s not always easy to find a company that puts your needs first, but fortunately, you’ve found us, and we'll prove to you that we're different than your last or previous cleaners. We guarantee you a service like no other...and quality that only the master cleaner can provide! Our promise to you is that there is no one more important than our customers. We promise to give you our best. That is 110% of our ability and some of the best equipment in the industry. We believe in providing excellent customer service, and stand by both our word and our name. 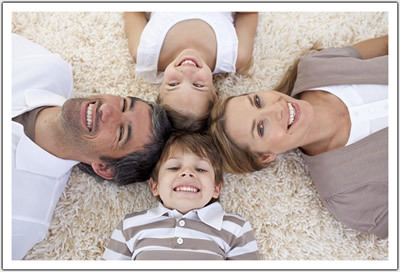 We promise to respect your home, children, and pets by only using safe chemicals and procedures. 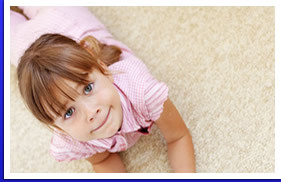 And because we "Speed Dry" your carpeting, in most cases; it will be possible to walk on your clean floors shortly after we’ve finished. We are known for our satisfied customers, and guarantee you won’t find a better cleaner. In fact: We guarantee a cleaner carpet, residue-free. That means your carpets will stay cleaner, longer. Experience the difference, choose Master Cleaners today!